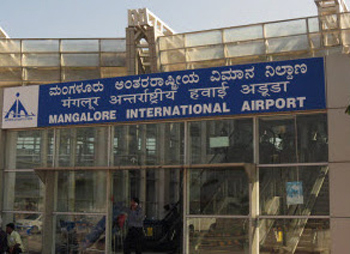 Mangaluru, July 13, 2016: The AAI, Airport Authority of India in a serious move to add two more aprons at the MIA, Mangaluru International Airport at Kenjar here in keeping with the steady growth of passenger traffic from this airport. It has now taken up at an estimated cost of Rs 4 crore, the additional aprons will take the total number of parking stands for aircraft to eight and enable the airport authorities to handle additional flights at any given point in time. The work is expected to be completed in December 2016. J T Radhakrishna, airport director, MIA said the construction of the new aprons will enable AAI to handle eight flights at a time, if the need arises. While the six aprons are spread over an area of 48,000 sq m, the new aprons coming adjacent to the existing aprons will be spread over around 8,000 sq m, he said, adding this will enable AAI to handle seven narrow bodied air bus/boeings and an ATR. "We have set aside one parking slot exclusively for ATRs," he noted. At present, the earthwork for the additional aprons are underway, he said, adding that Kochi-based agency executing the work has time till February 2017 to complete the work. "We are hopeful that the agency will complete the earth work once monsoon abates and then start with the pavement work. Although they have time till February, we are hopeful that they can do so by December and their present rate of execution is encouraging in this regard," Radhakrishna said. Once the aprons are ready, AAI will modify two of the eight aprons to install two more aero bridges to go with two aero bridges at MIA. AAI has imported 17 aerobridges for airports in India and two of these that cost approximately Rs 8 crore will be installed at MIA. As and when the aerobridges are installed, four of eight aprons will be directly connected to terminal building and obviate need for passengers to alight on to the tarmac from the aircraft to reach the terminal.